B Digital Ads | B Digital and B Seen! Return on investment (ROI) is an important part of digital marketing (and really, almost every part of advertising)—it tells you whether you’re getting your money’s worth from your marketing campaigns. Before marketing really existed it would be common practice to choose a business or service provider based on information from other people. These referrals were the only way that businesses could bring in new customers aside from the ones who just happened to be walking by. The leaders’ trust in us and empowers our operations. Our range of clients encompasses the big and the small. Digital advertising is the future of advertising, and has quickly become one of the fastest growing mediums for promotions of business and services. 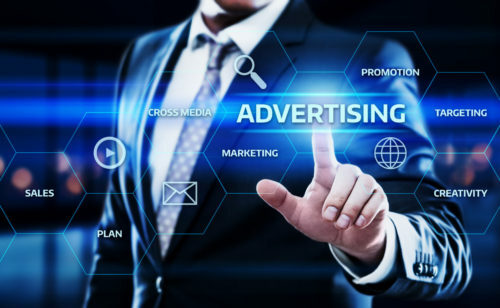 Our company, BDigitalAds, provides our clients with frequent high-definition digital advertisements in prime locations in Medicine Hat at values and prices that traditional media such as newspaper, radio and television cannot compare with. With BDigitalAds you can now promote your business, products, services, promotions or special events on a whole new level with our digital screens and billboards located in many of the high-traffic and frequently visited locations in Medicine Hat and area. Promoting your business, products or services to the masses has never been so easy! With 250,000 potential viewers of our full digital system monthly, your advertisements and promotions can be viewed as frequently as 3-4 times per hour on our large 50” high definition digital screens, with the option to be displayed as static ads, animations or video advertisements. Or if you’re looking to promote on our “biggest screens,” our digital billboards along the Trans-Canada Highway in Medicine Hat have 64,000 daily vehicles driving north and south past our digital billboards. For more information regarding our locations, please click the “Our Locations” menu at the top of this site. B Digital and B Seen with BDigitalAds! Hats off to the pioneers who developed the technologies and built the super highway. I am a leader, chief executive officer with a great team in our digital conglomerate. Creating and airing Ads on our ever-expanding internal screens and outdoor super screen networks. We develop world class web sites and distribute quality HP computers with maintenance packages. Growing up I worked in businesses alongside my father and uncle, I watched my Dad create Ads for their theatres and grocery store and I learned to create Ads for the movies using chalk. I have 9 brothers and sisters. My hockey career ended with a check from behind and a broken back. I had to learn to work with my head and as a middle child, I filled the need for attention by entertaining through singing, acting, playing guitar and becoming a DJ. I have a Radio Arts College Diploma and a building operator ticket, and I am a commercial painter. I’ve sold, written and produced commercials as an executive, story boarder, voice artist, photographer and videographer. I owned and operated a DJ company for 20 years. I worked in all Broadcast radio positions, hosted community focus on cable TV, did parade coverage, digital Ad sales and production with MCTV, TV Listings, Channel 10 Community Programming, BN News, Monarch Broadcasting, Shaw TV, Corus Custom Networks, co-founder of comTV.ca and I am cofounder owner director of B Digital Ads Inc.
I’ve sold and produced thousands of Ads, static, electronic and digital for hundreds of customers fueled by Imagination, faith in God and love for my beautiful wife of 35 years and our 5 incredible children. I look forward to meeting with you, introducing our company to yours, serving your advertising needs and earning your business. I Owned and operated an advertising business For Sale by Photo for some 20 plus years. My wife and I raised our daughter in Medicine Hat. We enjoy Walking Biking Camping and just relaxing with family and friends. Jeff has worked in the Media since 1982 as a Radio Announcer, Program Director and Music Director throughout Western Canada. His experience on the airwaves and behind the scenes in Administration helps Jeff fill his role as Office Manager/Controller at B Digital Ads, Inc.